We’ve been designing patterns for 3 years now, and as cheesy as this sounds, there is honestly no greater thrill than scrolling through Instagram and coming across a picture of a bag you designed. To be fair, it’s actually only Courtney who discovers the pictures because Ali still refuses to join social media. So Courtney screenshots them and sends them to Ali via text – you know, 2007 style. Either way, we definitely got nothin’ but Instalove for these women who are making our bags, so we are sending out air kisses through the web and sharing images of their awesome work with you. 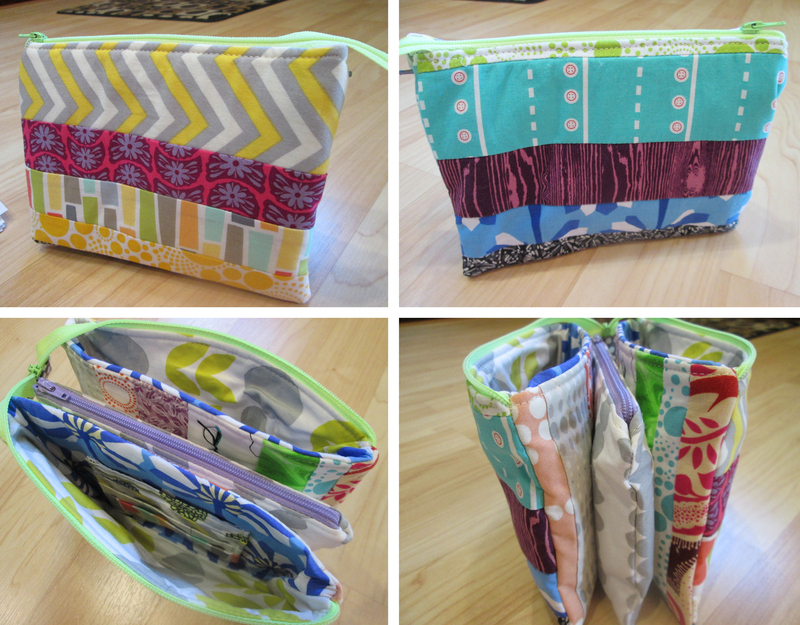 Our latest free pattern All Charged Up organizer is definitely a huge hit! It’s a fun little pouch that stores all of your chargers and cords in one place. You can find it exclusively on the fabulous Sew Mama Sew blog here. @PDXSpiceWeasel made this beautiful version, and we love that her son has already commandeered it for his action figures. @EyeRamona made these two gorgeous versions in some fantastic Alison Glass and Anna Maria Horner fabric. @MelodeeQuilts also made two versions in some super happy and fun fabrics that just make us smile. @Elnorac made this beauty with some awesome retro Cotton and Steel fabric, and we love that she chose to use a swivel clasp for the closure. Finally, the amazing @ColeandTaffy chose our All Charged Up for one of her free pattern reviews! We were so honored. 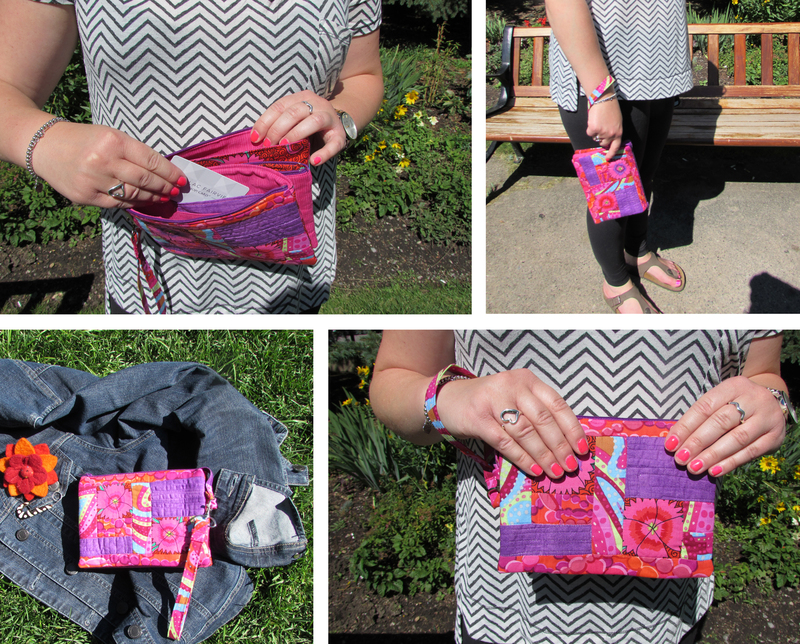 Our Gotta Go Wristlet still remains our most popular pattern to purchase. You can buy it here and see why everyone loves this insanely versatile bag. @EyeRamona made two fabulous and fun versions of the bag. And she gets all the bonus points for sewing a Gotta Go and an All Charged Up in matching fabric. We hope you have enjoyed this sewing eye candy as much as we have. Please continue to tag us on Instagram or email us pictures of your finished bags so we can show them off. And now that this little nugget celebrated her first birthday last weekend, Courtney should be returning to the sewing machine more often. And that is good news for you all, because we have been working hard on an awesome new bag. It’s called the Bacchus Bag and might be our most genius idea yet. Stay tuned! Before we release our new free pattern later this month on Sew Mama Sew again (squeeee! ), we wanted to pop in for a quick pattern hacklet. It’s not a real pattern hack, so we’re trying to see if pattern hacklet catches on. Help us out and use it in your next sewing conversation, okay? So by now, we have sewn about 15 Gotta Go bags between us. But we often find ourselves either (A) being intimidated by the irreversible damage we could do if we screw up the snap installation on the Zipper End, or (B) being too lazy to go through the hassle of actually adding the snap. And of course, the latter scenario is almost always the case. The reality is that you don’t really need the functionality of a snap unless you plan on regularly overstuffing the Gotta Go, because undoing the snap makes opening the bag easier when it’s extremely full. So we started adding buttons to several of our Gotta Go bags instead. If you want to be lazy like us, here’s how to add a button instead of a snap to your Gotta Go. First, choose a size and color button that suits your bag and some coordinating thread. 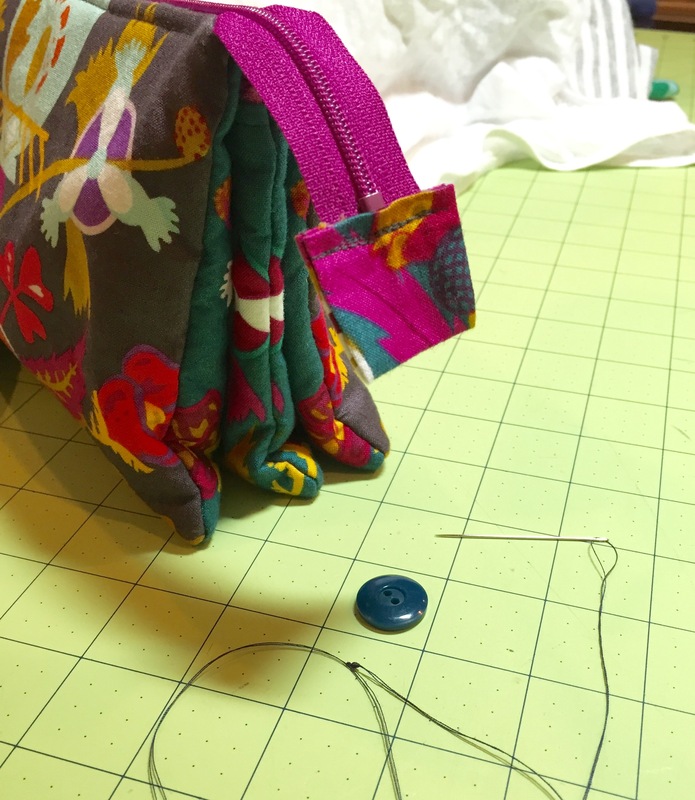 Then, hold the button over the center of the Zipper End, and sew it down, through the Zipper End, the Inner Divider and the Inner Divider Lining. 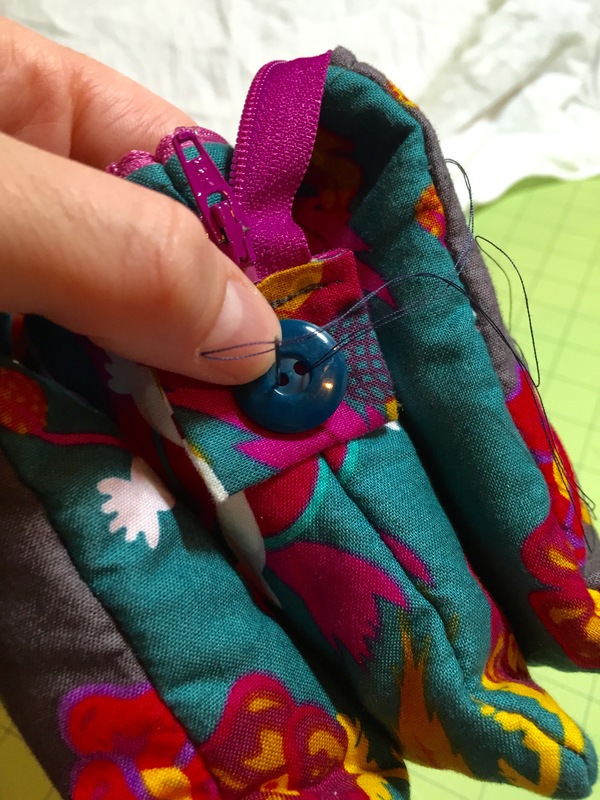 Secure the button by sewing through it several times. It’s that easy! Now your Zipper End is permanently sewn down, but we’ve found that it works great for us and how we use the bag. We always keep our cash, cards, keys and phone in the Gotta Go and then just throw that into our larger bags. Then, when we need to run a quick errand, or leave the house without kids and diapers and pull-ups, we grab the Gotta Go, and well, we go! We hope you enjoy this little pattern hacklet for the Gotta Go. You can buy our most popular pattern via instant download in our Etsy or Craftsy shops for only $9. And be sure to check back in with us the last week of May when we release our next free pattern! Now it’s time to do our absolute favorite thing – kick off the release of a new collection! Our Fall 2015 collection is all about travel, and the best pattern to start with is our new perfect traveling companion, the Gotta Go. We actually started work on this bag two years ago. Which means we have been excited about releasing this bag for two years. And to be honest, we have no idea what took us so long to get this pattern out into the world, but we are even more thrilled with it now and we could not be happier to share it with you all. 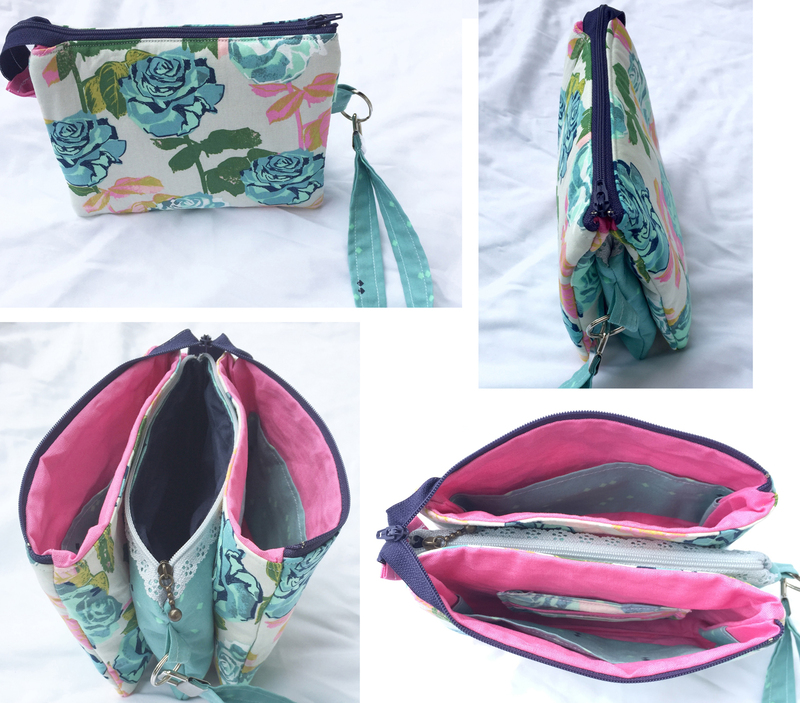 This is an exceptionally versatile bag that can function as a wristlet or a pouch and is fantastic for everyday use and anywhere you want to go. Gotta Go features two outer sections with a zipper closure that has divided inner pockets on one side and card holders on the other. In the middle is an inner section with a separate zipper closure. Any of the sections are large enough to fit the iPhone 6 or similar sized phones. 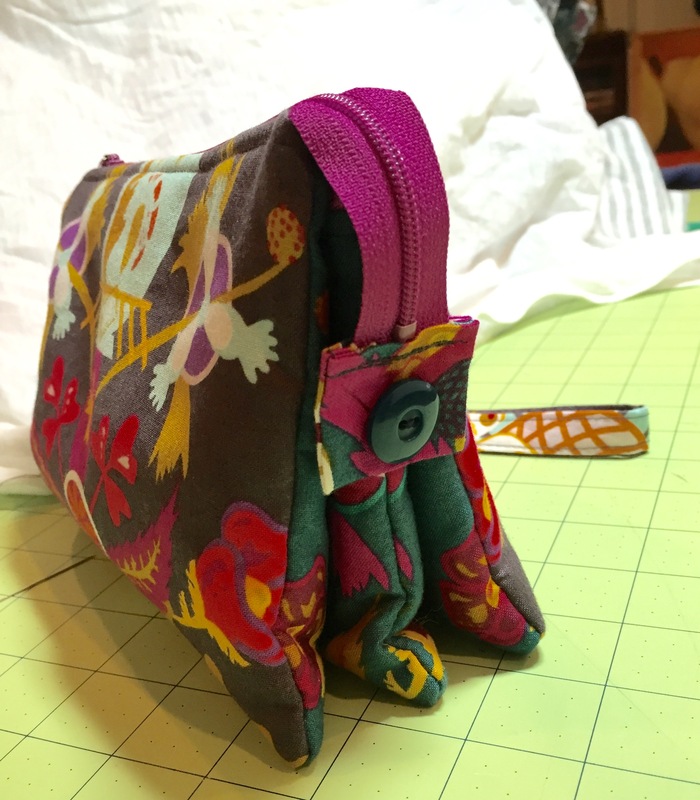 You can fill the Gotta Go with all of your essentials and more and then use it as a zipper pouch or clip on the detachable strap and use it as a wristlet. Finally, you can create a fun and easy optional patchwork design on the outer sections. Here’s an example of the patchwork in a more monochromatic look, which also looks amazing. The best part? Gotta Go only uses 4 fat quarters if you choose to do the patchwork version, or 3 fat quarters if you choose to do the non-patchwork version. And we all know there is no better music to a sewist’s ears than a pattern that only uses a few fat quarters. And now it’s time to share even more eye candy… the amazing bags our testers made! Julie made the Gotta Go for her niece and lovely model. 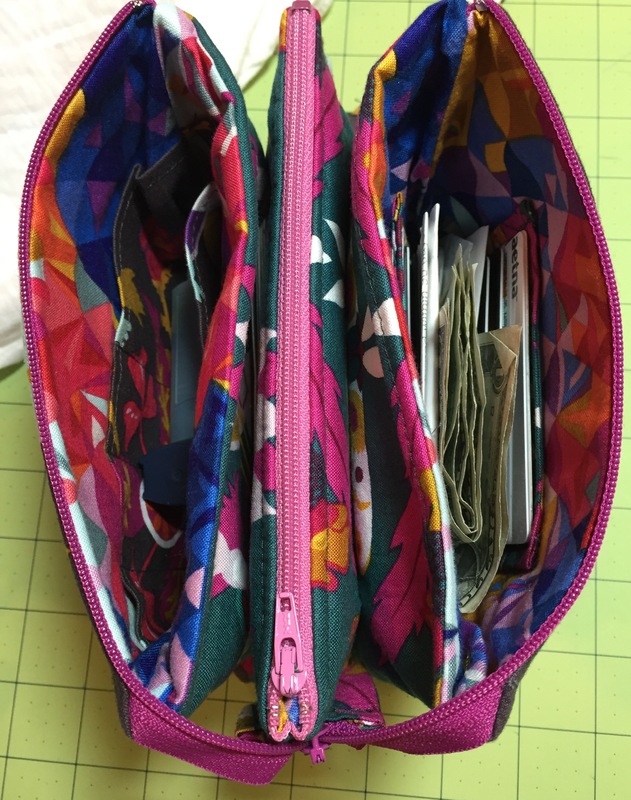 We absolutely love the bright and beautiful Kaffe Fassett fabrics she used and it looks like the wristlet is already getting great use. 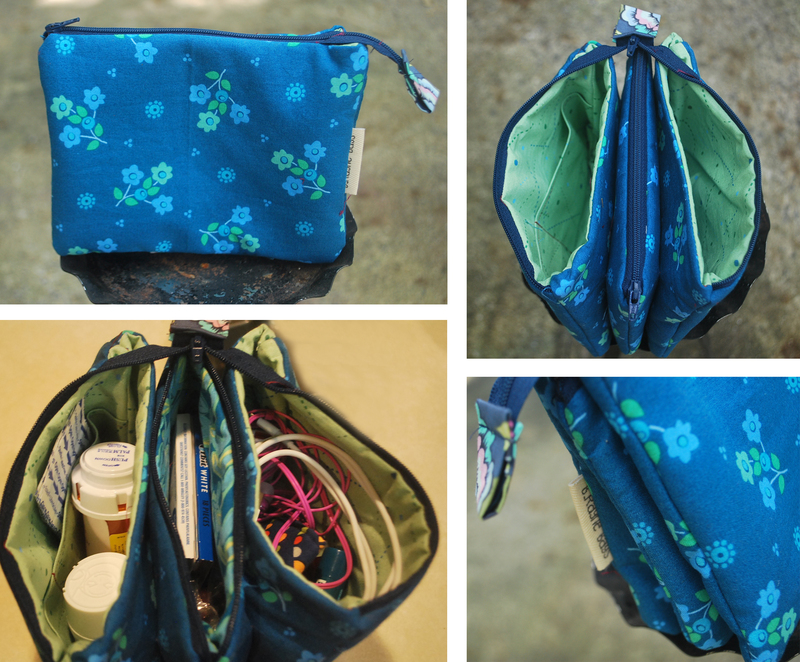 Brinkley chose to do the non-patchwork outer bag and used a really charming blue floral for all of the exterior pieces. She uses the Gotta Go as a zipper pouch and stuffs it full with everything she needs in her backpack everyday. What a great idea. Lindsay also chose to sew the non-patchwork version of the outer bag and used it to highlight some amazing Cotton and Steel Picnic fabric. And check out the lacey zipper she used on the inner divider! That zipper has already made its way onto our must-have notions list. 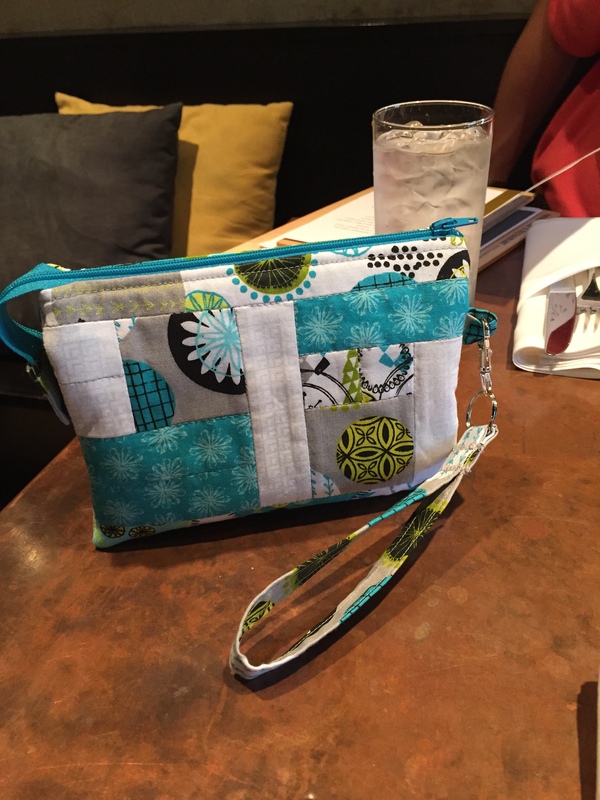 Finally, Vicki is an experienced quilter and we love how she made the Gotta Go her own by creating her own patchwork design on the outer bag. 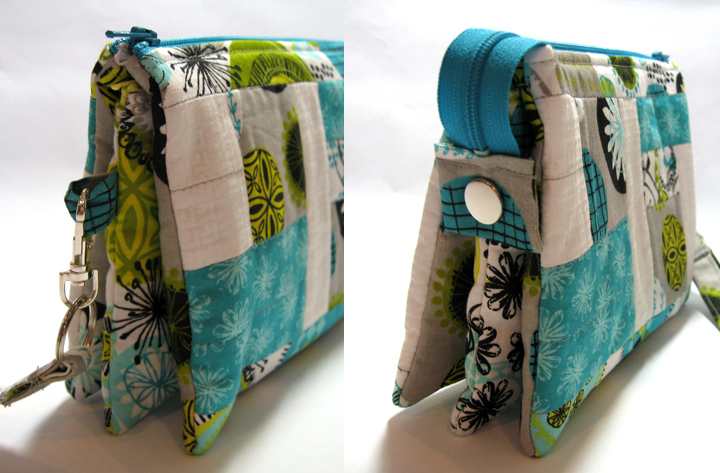 And her use of colorful, fun scraps is totally inspiring and a great way to sew your stash. The Gotta Go PDF pattern has 17 pages and over 90 color photos (!!) to help you every step of the way. You can buy it via instant download in our Etsy or Craftsy shops for only $9. The finished size is about 5 1/2” tall, 7” wide and 2” deep when closed (5 1/2” deep when fully opened). Happy sewing and Gotta Go-ing! And remember to send us images of your completed bags because we’d love to feature them on our blog or on our Instagram.